Electrical drives based on sensorless control has the advantage that neither encoder or speedsensor on the rotorshaft is needed. 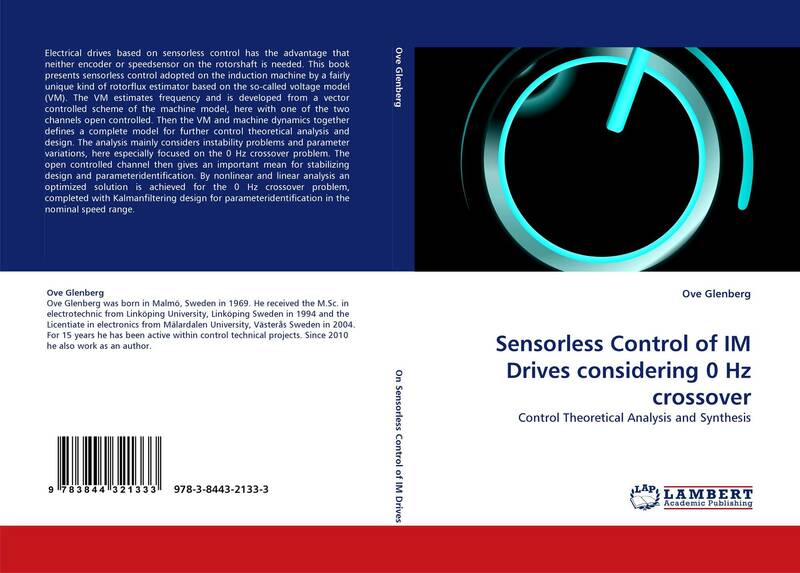 This book presents sensorless control adopted on the induction machine by a fairly unique kind of rotorflux estimator based on the so-called voltage model (VM). The VM estimates frequency and is developed from a vector controlled scheme of the machine model, here with one of the two channels open controlled. Then the VM and machine dynamics together defines a complete model for further control theoretical analysis and design. The analysis mainly considers instability problems and parameter variations, here especially focused on the 0 Hz crossover problem. The open controlled channel then gives an important mean for stabilizing design and parameteridentification. By nonlinear and linear analysis an optimized solution is achieved for the 0 Hz crossover problem, completed with Kalmanfiltering design for parameteridentification in the nominal speed range.